Access to safe and dignified abortion was the subject of a series of articles by journalist Gina Rushton of BuzzFeed Australia. I was delighted to present Gina with her award as joint winner of the RANZCOG Media Excellence Award during March Council Week. 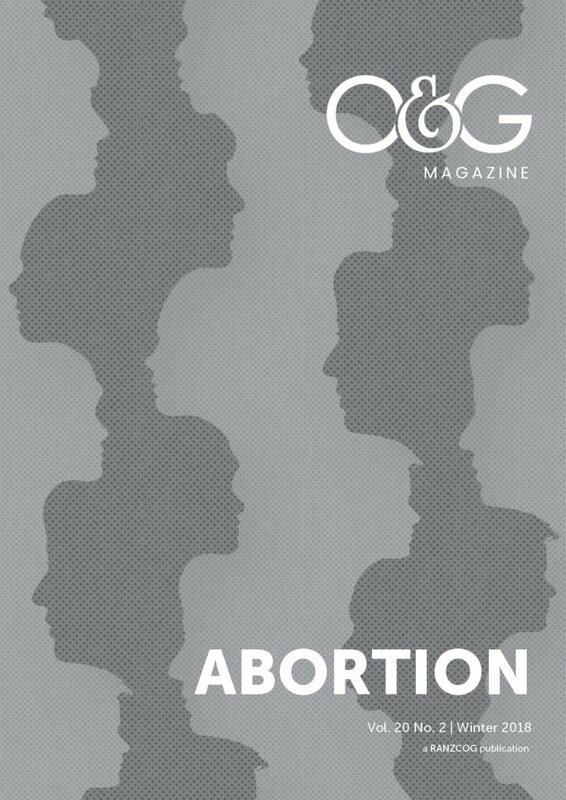 This issue of O&G Magazine deals with important issues related to termination of pregnancy, examining topics such as advocacy, law, ethics and conscientious objection. I commend the O&G Magazine editorial group for presenting a balanced examination of what can be a contentious issue. Most of you will recall the first unsuccessful attempt to develop a new ‘framework’ for maternity services in Australia. The project, run by the Queensland Government and managed by Deloitte Consulting, was a resounding failure and the attempt was abandoned in the middle of last year. The upside was that the College developed a framework, released in the latter part of 2017, in close collaboration with the colleges of anaesthetists, psychiatrists, general practitioners and rural and remote practitioners, the AMA, and many other professional groups. An attempt at a government-mandated ‘framework 2.0’ has begun, this time grandly titled the National Strategic Approach to Maternity Services (NSAMS). I am representing the College on the advisory group to the NSAMS. At this point, I am not quite sure what to make of the new venture. Australia has a wonderful record of safety for women and their babies, and we should be very proud of this. The key to good outcomes is collaboration between professional groups. What the NSAMS aims to achieve is as yet unclear. I will keep you updated on the progress of this government-led initiative. You will have seen headlines relating to private health insurance (PHI) and out-of-pocket costs for care in Australia in the media recently. Australia has a good balance of public and private care, but there is clear evidence that the affordability of private care now represents a major threat to the viability of the entire private healthcare system. This is of major concern to me and the College. Public hospitals are under intense pressure and waiting lists for elective surgery are increasing.2 In particular, the number of women having their babies in private hospitals is falling rapidly. Many of you will have personal experience of this from your own hospitals and practices. I am a member of Federal Health Minister Greg Hunt’s Ministerial Advisory Group on Out-of-Pocket Costs. The group, which has met twice, is chaired by the Chief Medical Officer for Australia, Prof Brendan Murphy, and consists of a small group of representatives from procedural colleges, PHIs, private hospitals, the AMA, and consumer groups. The group is aiming to develop a ‘transparency model’ to assist patients and their family doctors in accurately estimating gap costs for main procedures. This is a difficult and complex process, but the group should make its recommendations to the Minister before the end of the year. Many Fellows will have used transvaginal mesh kits for the management of prolapse and may still use mid-urethral tapes for stress incontinence (the kits have been withdrawn from use). After a long evidence-gathering process, and some delays, the Australian Senate Inquiry released its report on mesh last March. There are a number of lessons for the College arising from the evolving mesh story, and I am going to be speaking about this at the RANZCOG Annual Scientific Meeting in Adelaide later this year. It promises to be a great meeting and I encourage as many College members to register as possible. I look forward to catching up with old friends and making new friends at the ASM. A key area of focus in my Presidential term has been engagement with younger Fellows and the community. I have been lucky to have a skilled and motivated team at the College. We have been striving to engage people through the College website and on social media platforms such as Twitter and Facebook. 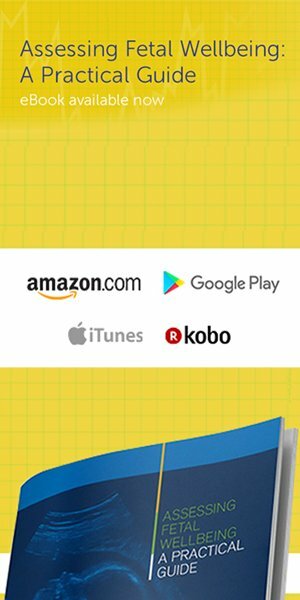 Whatever you think of these tools, there is no doubting their power and reach. I welcome any suggestions for further improving College communications. Feel free to let me or the communications team know your thoughts and ideas @DrSteveRobson @RANZCOG. C-Gyn 17: Termination of pregnancy. AMA Public Hospital Report Card.